Low-level laser therapy Units are the main component that is used to provide Low Level Laser therapy (also known as LLLT,) Low Level Laser Therapy is a medical and veterinary treatment that uses a low-level laser unit comprised of medical grade light-emitting diodes to alter cellular function. low level laser therapy is controversial in mainstream medicine with ongoing research to determine the ideal location of treatment Acupuncturists will typically use a Low Level Laser Unit to stimulate specific acupuncture points while Medical doactors and physiotherapists,(administer low Level Laser Therapy over nerves or joints. 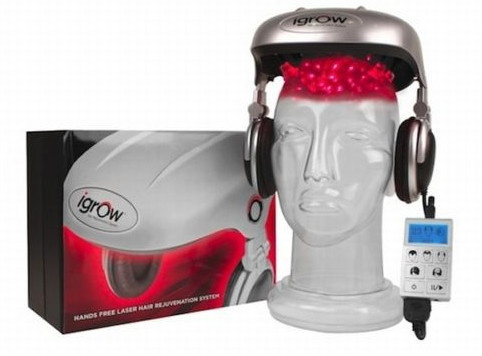 The quality of the low level laser unit that is used as well as the dose, wavelength, timing, pulsing and duration all effect the quality of the benefit the reciepient will receive from low level laser therapy. The effects of LLLT appear to be limited to a specified set of wavelengths of laser, and administering LLLT below the dose range does not appear to be effective. Low Level Laser Therapy (LLLT)has been used clinically for numerous ailments in Europe for over thirty years and has been the subject of over 2,500 scientific papers, published worldwide. There are no reported side effects to the therapy which is painless, non-toxic and complements many traditional therapies. Thank you Dr. Fritz for such an informative video. One Of The absolute best video's about Low Level Laser Therapy or LLLT.